I was bothered by this question recently and didn’t find an answer to it for a long time till today. 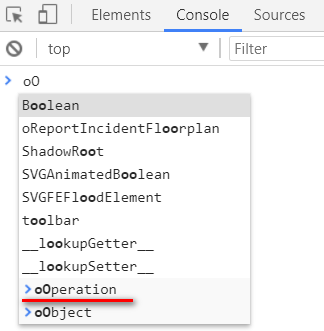 However, when I manually type the variable oOperation under “Watch” tab and to my surprise, the variable content fails to display there. See below highlighted with blue. However the display works for “window” and “this”. 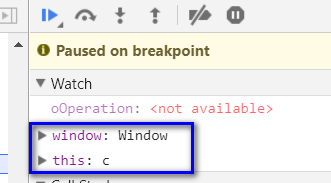 And “this” and “window” could still be displayed well in console. Pay attention to the folder with orange color below and the tooltip “from source map”. When I am manipulating the real debugging version, I could now use the original variable name in Watch area as well, however at the cost of the long waiting time to load the original file. The following is for sap-ui-debug=true, where significant performance difference are observed. So in most of cases, it is just enough for we developers to leverage source code map to finish our debugging task instead of really loading .dbg files.